TERRY KESSLER SCHWARZ holds a BFA from Syracuse University, and an MFA from Tufts University. She has been a practicing calligrapher, painter and illustrator for over thirty years. 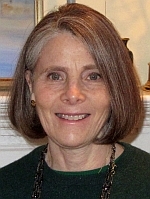 KESSLER SCHWARZ is a member of the Society of Scribes and a board member of the Catharine Lorillard Wolfe Art Club, Inc. She is a teaching artist for ArtsWestchester and has taught adults and children at the Hudson River Museum, Neuberger Museum, Pelham Art Center, Scarsdale Public Schools, and Congregation Emanu-El of Westchester. Her work has been published in various publications including The New York Times, House Beautiful Magazine and the Gannett newspapers. She is also an exhibiting artist in the New York metropolitan area.